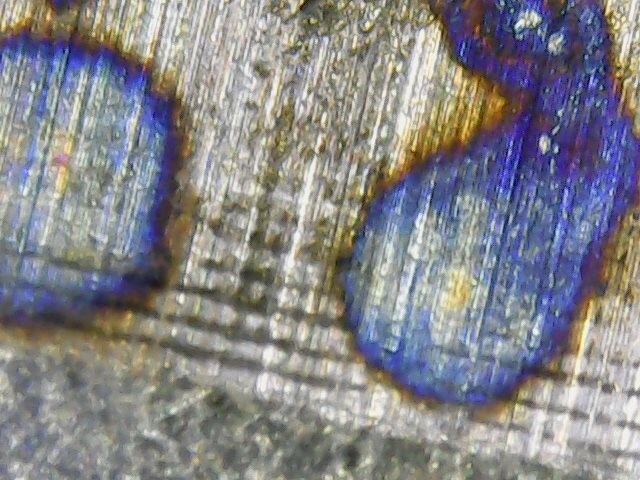 This is a x150 microscope view of a 301 steel plate. It is covered by this type of small blue spots. It appeared after the steel had been treated at 400°C. The subcontractor thinks that the steel was not cleaned correctly. Do you have some experience with similar results ? Browse other questions tagged metal metalworking or ask your own question.